Discover one of the Jerusalem's greatest treasures. 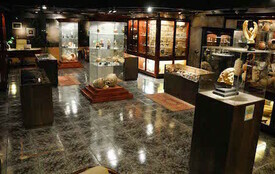 Located on Via Dolorosa Street in the center of Jerusalem’s Old City, Aweidah Gallery offers visitors a chance to step back in time by viewing its broad collection of ancient artifacts from various periods throughout the region’s history, including an extensive collection of artifacts from the time of Christ. The origination and history of each item in the gallery is certified authentic and painstakingly documented, and our expert staff stands ready to answer all of your questions. Please let us know if you encounter any difficulties using our website, and as always, we welcome all inquiries. 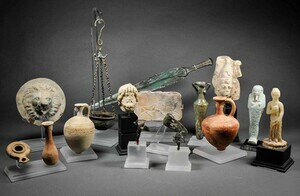 A trusted name in the international antiquities market with an impeccable reputation, Aweidah Gallery has been trading antiquities for more than 40 years and can accommodate the needs and budgets of experienced and casual collectors. powered by Vervendi ©1998-2017 We vend with verve!